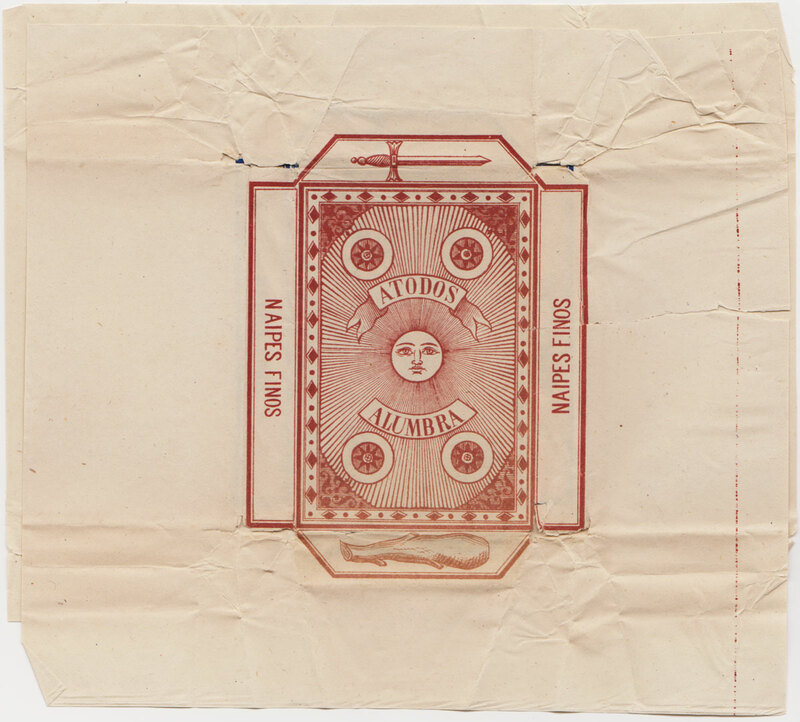 "A Todos Alumbra - Naypes Refinos" pack manufactured by Léonard Biermans, Turnhout, c.1880. 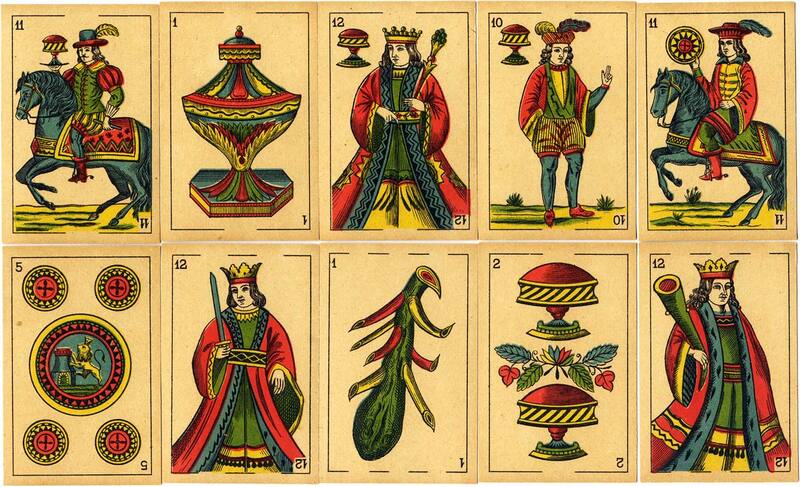 Above: cards from 40-card "A Todos Alumbra - Naypes Refinos" pack manufactured by Léonard Biermans, Turnhout, c.1880. Square corners, offset printing. The cards themselves are completely anonymous but they were acquired from Biermans' remaining stock when this was sold off. The date 1878 printed on the four of coins may be approximately correct. The wrappers carry the legend "A Todos Alumbra". Biermans and other Belgian manufacturers appear to have published several different editions of Spanish-suited "Naypes Finos" around this time so clearly there were optimistic expectations of a lucrative market.